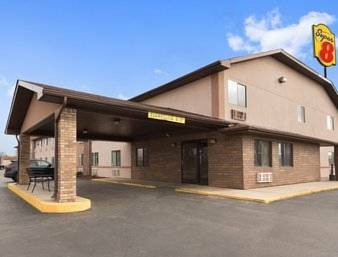 The Super 8 Rantoul is conveniently located just off I-57 and 15 minutes from the University of Illinois Champaign. The former Chanute Air Force Base, which hosts an 18 hole golf course, airport, Aerospace Museum and Lincolns Challenge Academy is within minutes of the motel. The Super 8 Rantoul is 6 miles from Gordyville USA, home to flea markets, horse sales and shows, rodeos and more. We are located just west of downtown Rantoul within walking distance of many restaurants. Enjoy one of our Themed Whirlpool Suites. Including the Caesar Suite, featuring Roman decor, the Tahitian Suite for a mini trip to the South Pacific, and go west in the Gordyville Cowboy Suite. All of our rooms feature microwaves, refrigerators, coffee makers, alarm clock radios and hairdryers. We provide complimentary SuperStart breakfast, guest laundry facilities and free high speed Internet. The staff and management of the Rantoul Super 8 stand ready to make your stay with us a pleasant and enjoyable one. Although "two-story outhouse" may seem like a dumb joke, this one is authentic -- and its town considers it historic and worthy of civic pride.